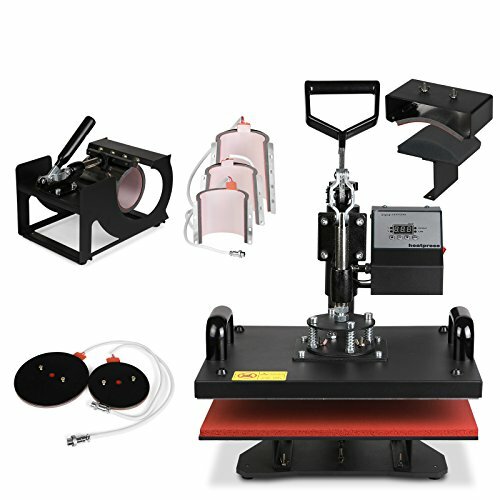 This 8 in 1 heat press machine has a built-in Teflon coated 15" x 12" heat platen with a full range of heating coils to allow for consistency throughout its surface. The digital timer control is adjustable up to 999 seconds. The manual open and close handle is easy to operate and can be adjusted with the pressure knob at the rear of the machine. It can transfer colorful pictures and characters of sublimating and dissolved printing ink onto ceramics, glasses and textiles such as cotton, flax, chemical fiber, nylon, etc.